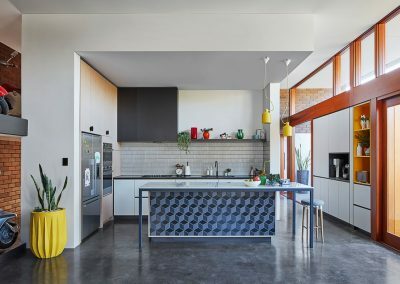 Designed by the founder of Alternative Kitchens, Martin Stead-Wynne, this welcoming kitchen beautifully complements the newly renovated home. 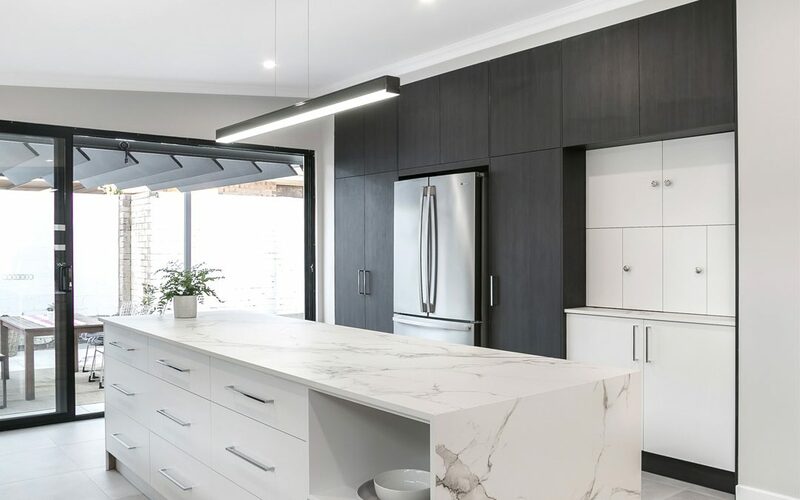 With a large breakfast bar, a waterfall end and a luxurious Dekton Aura15 top, the central island bench provides the ideal place for the clients’ family to gather for meals. 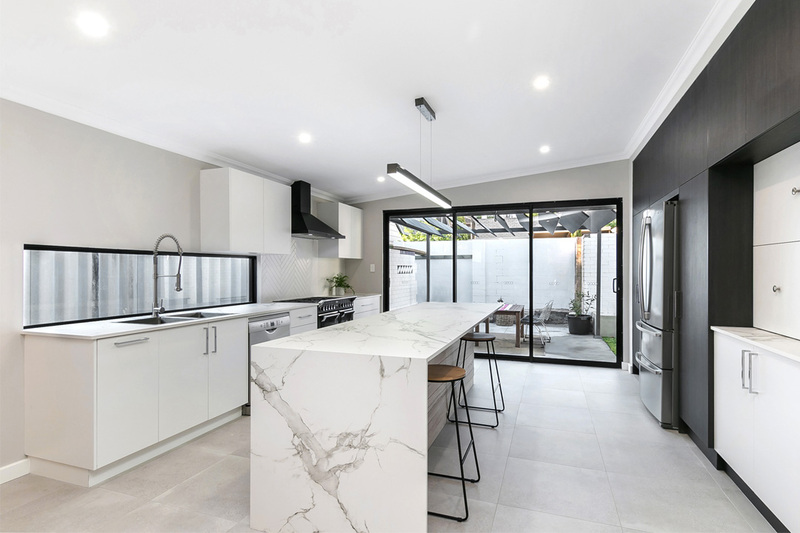 Perfectly fulfilling the clients’ brief, the kitchen features a layout with dedicated cooking, storage and cleaning zones, as well as a beverage station. The practical design allows the large family to utilise the space unencumbered. 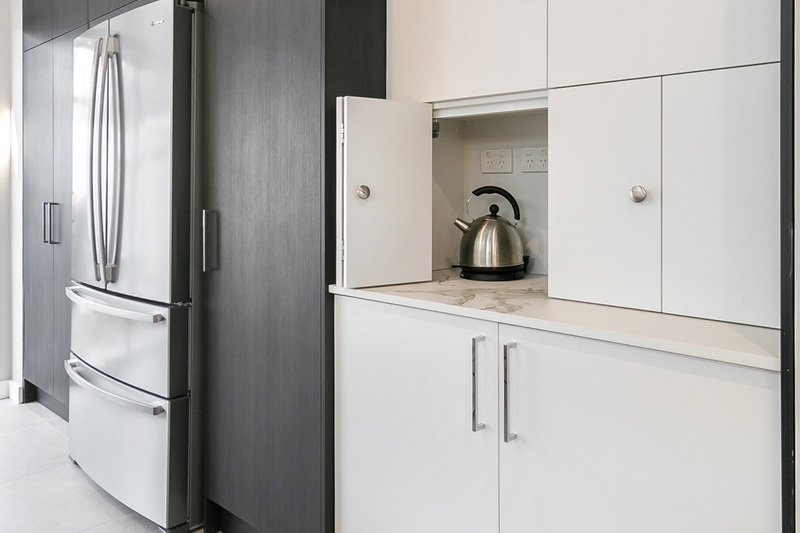 Through collaboration with the home’s architect and builder, Alternative Kitchens produced an entire wall of in-built cabinetry, which provides an abundance of storage space. Laminex’s ‘Black Nuance’ finish was selected to provide a striking contrast with the rest of the ‘Ghostgum’ cabinetry. With two linear pathways that lead to the sheltered alfresco area, the kitchen is perfect for entertaining. Established in 1991, Alternative Kitchens is a family-owned and -operated company with a long tradition of creative designs and quality craftsmanship. 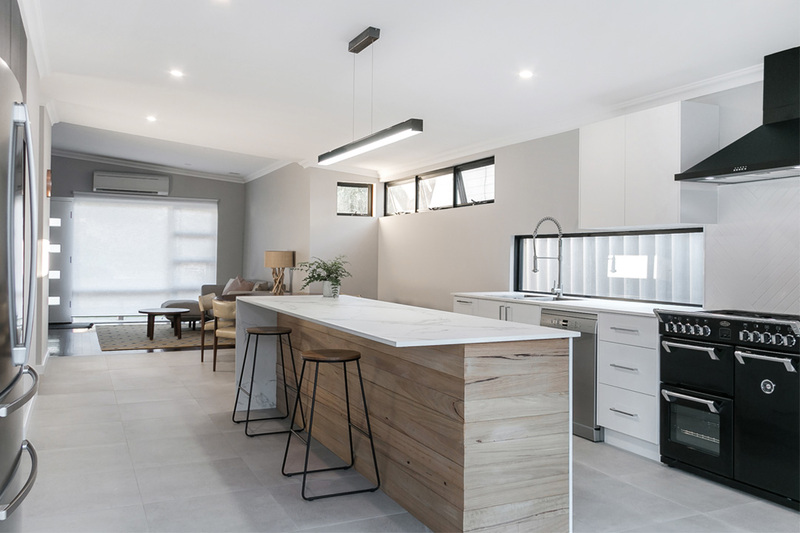 Working with reputable builders, plumbers, electricians and tilers, the company can facilitate any trade work that may be required to make your design goal a reality. 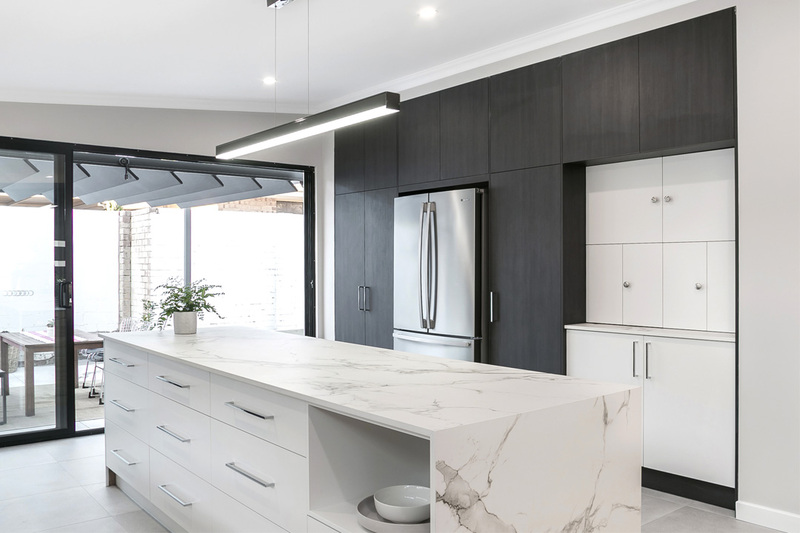 Designing 40–50 quality kitchens annually, Alternative Kitchens services the Greater Perth area, and also completes specialty projects in regional locations. The company can provide a variety of tailored services, including cabinetry for new homes and complete project management for renovations. As the recipient of eight Kitchen & Bathroom Designers Institute (KBDi) awards, Alternative Kitchens is a reliable choice for your next project. Visit the showroom to receive a 3D drawing of your custom-designed kitchen.